By Vincent Morgan	| Published on Friday, June 11, 2010. Another writer on tour. 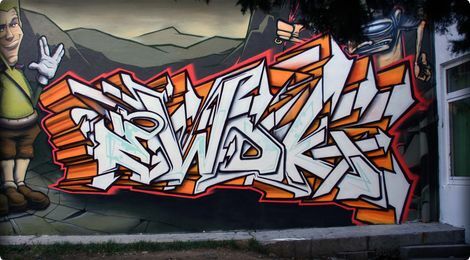 Ewok 5MH spread his art on Croatian murals during the X Static festival in Split. Here are some pictures of the walls, and the video of his trip. Croatia is beautiful. Big up to Sub and Emit for the great pieces.